can continue this vital work. What is the Everymana��s Crest all about? Since the Vietnam era, Everymen and Everywomen Representatives have proudly worn this crest. It is a delight today to see photos of the Brew Truck in South Vietnam sporting the crest on the car doors as they moved around. The map of Australia in the middle contains two intersecting “C’s.” These “C’s” stand for “Campaigners for Christ” which was the organisation that founded Everyman’s in 1940. (The Australia with the intersecting “C’s” was also the original badge that Everymen and Everywomen wore in the 1940’s). 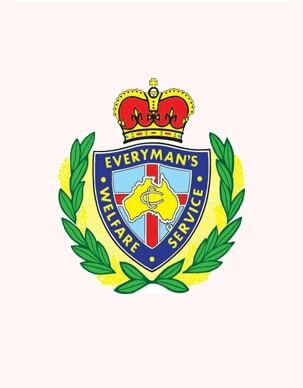 In 1993 the original entity Campaigners for Christ merged all its remaining assets into Everyman’s Welfare Service, which until then, had been a division of Campaigners. The old Campaigners therefore did not cease to exist, but continues its existence and evangelical calling today within Everyman’s. The crest proper is surrounded by the green and gold wattle which signifies the land of Australia from which Everyman’s was born in 1940. In the middle of our shield, on the crest, is a red and white cross on a sky blue background. This is the part of our crest we are most proud of. The cross signifies the One who we stand for and the only one through whom humanity can find Salvation. It signifies the One for whom we exist, and the One who is our everlasting Commander in Chief. It is our aim to continue to witness to the grace and love of our Lord Jesus Christ until He returns, faithfully wearing the Everyman’s Crest unchanged to the end.